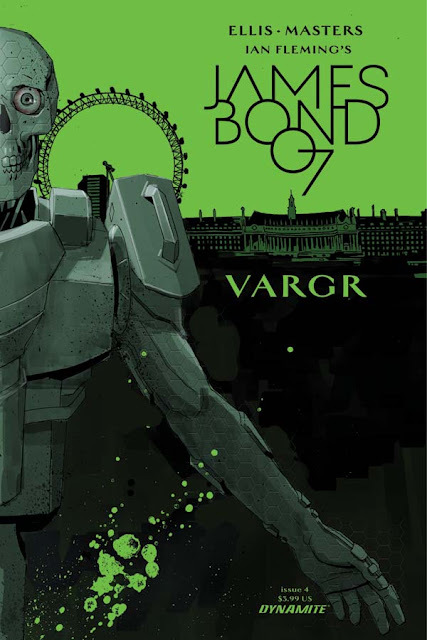 Dynamite Entertainments forth issue of the James Bond adventure VARGR is now available to buy in comic shops. The story is written by Warren Ellis and has Jason Masters as the artist. 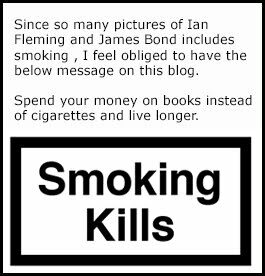 This is the forth out of six numbers to be released. June 21 this year a hardback version of the complete VARGR story will be released and later this year a new James Bond story by Warren Ellis and Jason Masters will be released. I am waiting to read the story until I have all six comics at home. Below you can see the cover art for issue 4. Issue 5 will be released sometime in March, 2016. Look here to se all covers for issue 1. Look here to se all covers for issue 2. Look here to se all covers for issue 3.